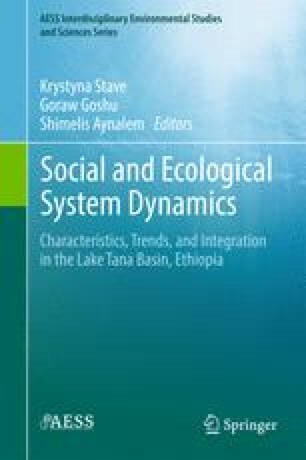 This chapter is about biodiversity threats posed by water hyacinth in the pristine Lake Tana, discuss its potential problems and suggest possible solutions. Lake Tana watershed is within the East African Afro-montane Hotspot and the productive agro-ecosystems of Ethiopia. As a hotspot, the watershed is considered as global priority conservation area and Tana is proposed to be designated as a biosphere reserve. The catchment stretched from Lake Tana 1785 m above sea level to mount Guna 4150, and contains three distinct agro ecosystems. The national development strategy is changing the socioeconomic and biophysical landscapes. The expansion of a century old introduced Eucalyptus still has unsettled controversies. The lowland plane and the lake shore ecosystem are facing challenges of the worst invasive in 2004. Since then, the alien species is added on the two major environmental challenges namely anthropogenic activities and climate change .